To put things into a simpler perspective, Altcoin.io promises to provide a solution to an issue that has been going for a few years now and little as to no one has been close to solving the decentralized demand. Without relying on a third party to match buyers and sellers, the website is going into a new direction that predecessors have failed in the past. Today, we will be looking into what this website is about in general and show you a glimpse of what this website has and others don’t. Without further delay, let’s talk about that. We all know that cryptocurrencies are built to defeat the old Fiat system which is completely a centralized form of monetary exchange. BTC and other cryptos where invented to be decentralized but needed to go through exchanges which defeats the purpose of using decentralized cryptocurrencies. Once an exchange accepts deposits, they automatically remove the anonymity of the users’ funds and hold on to their crypto making a centralized exchange out of a decentralized monetary medium. In order to be a true decentralized exchange, a website should not hold on to any currency and the transactions should be P2P. That’s why there are still a huge number of people today that would rather go through the hassle of a P2P exchange transaction rather than going through centralized exchanges because of this fact. With that being said, this is what Altcion.io is trying to do -Eliminate that third-party middleman and just provide service that can direct funds from one person to another without compromise. And with the help of their Atomic Swaps technology, this isn’t something that is far from reach. Without further delay, let’s jump right in and look into their website. Since the website hasn’t been fully released yet, we are unable to create an account but instead, they will ask for your email and provide you with a referral program. By sharing the link, you will be earning commissions even without the website not being launched yet. People that have signed up will earn a percentage for each trader that you will be getting. So if you’re serious about getting into Altcoin.io then getting referrals as early as now isn’t such a bad idea knowing what you will be getting in the future. Compared to other existing exchange websites today Altcoin.io has something very familiar. This is good and bad at the same time. This is bad because people would expect to have something at least different from the mainstream exchange market today knowing that altcoin.io is moving in a different direction than other websites. It’s pretty much basic, you get the list of all the available markets on the left-hand side panel, your order slip on the middle section of the platform and all the buy/sell orders located on the left-hand side. The good thing is that since the website layout is familiar, you wouldn’t waste your time going around and trying to figure out which one is which! Are you excited to get to try the live version of their exchange website? What we’re excited to try out is their Atomic Swap technology which we will be talking about below. Decentralized trading can be a pain without the proper tools to help you out. What Altcoin.io did is that they made it simple and user-friendly making it easier to for people that are new to the idea to approach it with willingness and no hesitation. So how it works is that when you place a trade, this will be broadcasted through the network to find a peer that is willing to trade with your offer. Once a trade has been detected, it will take a minute to complete. The website also promises that over time this will definitely improve making it easier for people to do faster transactions in no time! Password Phrase – Believe it or not, the moment you create an atomic swap wallet you will be provided a twelve-phrase password. 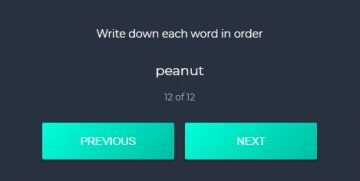 Yes, twelve phrases or words that will be given to you and would work with your password. Shown in the screenshot above is the swap tab wherein you will be able to swap coins with peers. 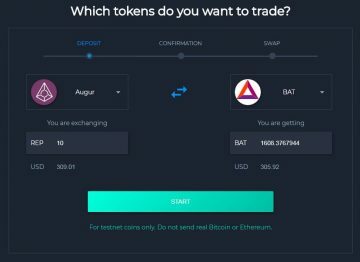 All you need to do is choose which coins you want to trade and for how much. After providing all the necessary information, the confirmation process will begin which will take a minute or two as mentioned earlier. 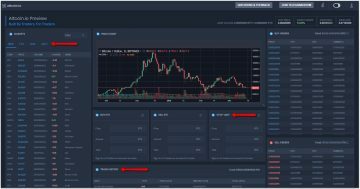 Altcoin.io is a website that is clearly moving away from the norms of having to trade with a centralized exchange website. We just hope that everything goes as planned and that nothing will go wrong with their awesome idea. The website plans to launch their decentralized exchange in Q2 2018 and have the Atomic Swaps working with Q3. We just hope that they release the atomic swaps earlier since the idea of having a “real” decentralized way to exchange cryptocurrency is just a few months away! “Altcoin.io – Scam or Not?” Very interesting choice of header title. Time will show, but the founder and CEO is a guy named Andrew Gazdecki, and I actually got the chance to be a partner/client of his previous company; BIZNESS APPS. And, to be honest, I realised that this guy was on a “hidden agenda” from the very beginning. What I mean is that he refused to take care of his existing customers and to listening to their needs. He failed to fix important technical issues which still to this very day remain unsolved. His primary goal was to exit the company once the company reached its desired numbers of customers. He left BIZNESS APPS` platform with an internal messy “technical debt” and who knows how long time it will take before the new CEO and his team will have it fixed. He has now moved on to a new business sector, but I believe that the platform they are currently building for Altcoin.io will be launched in centralized mode, and not in decentralized mode as they are claiming it to be. Hence, again the design debt or technical debt is part of his method of working. The article below also reconfirms that. So you can accomplish tremendous things by “overhyping” the solution to a problem, but often it has an underlaying or a hidden message that sadly some people try to follow as in “flock of sheeps” and you probably know the end result then.